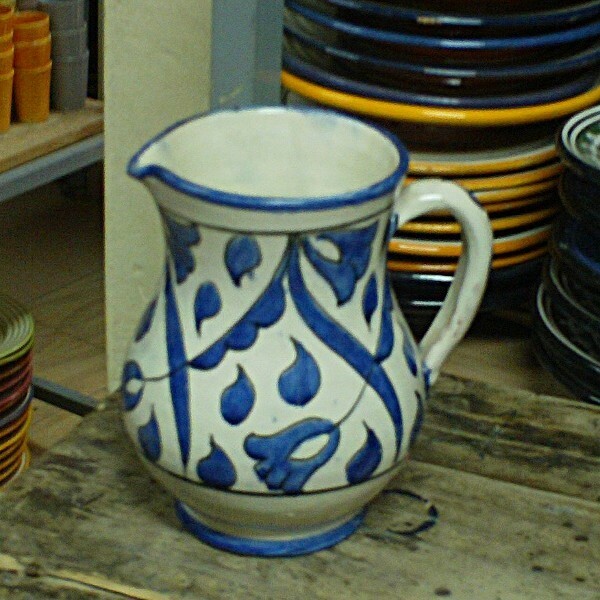 Blue & White Moroccan Pitcher. This Terracotta enamel Pitcher has been hand painted by berber women in Safi, Morocco. Handicraft of Morocco.